New home under construction in a brand new community, ''The Landing at Lewis Creek.'' 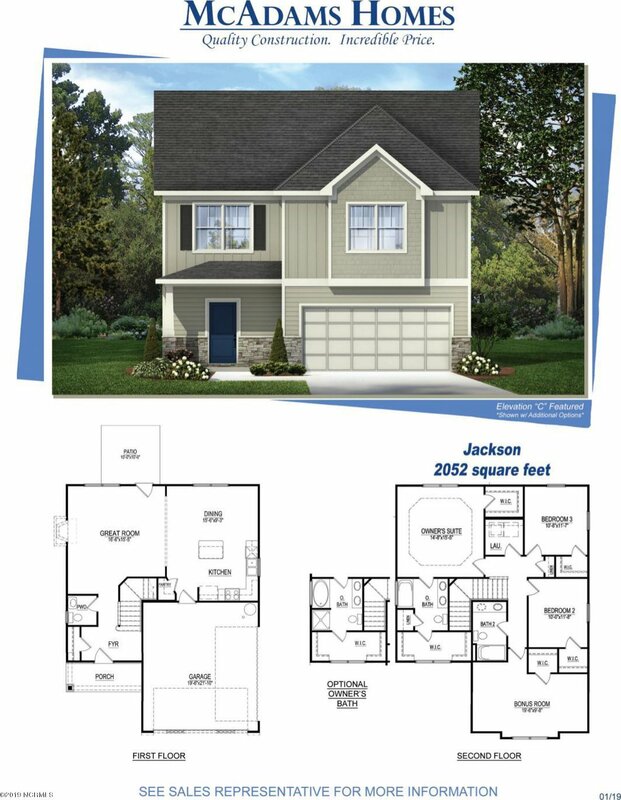 The ''Jackson,'' a 2 story home with over 2000 sq. ft. plus a double car garage located on a premium end lot. Four bedrooms, 2 1/2 baths with fireplace and mantle. White, shaker style cabinets in the kitchen with soft close drawers. Master bath has granite counters with rectangular sinks. HOA dues are 350.00 per year. Amenities include sidewalks, 5 ft. mulched walking trails and green space.